Make CCs the Requesters of Zendesk tickets. Displays the current Ticket Requester. 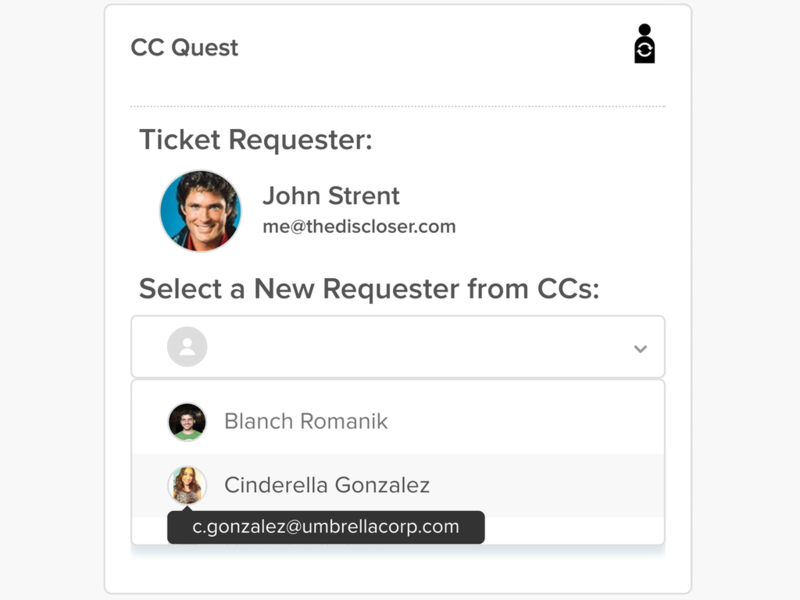 Creates an alphabetical list of all the CCs in the ticket. Let's you choose one CC to make the new Ticket Requester. 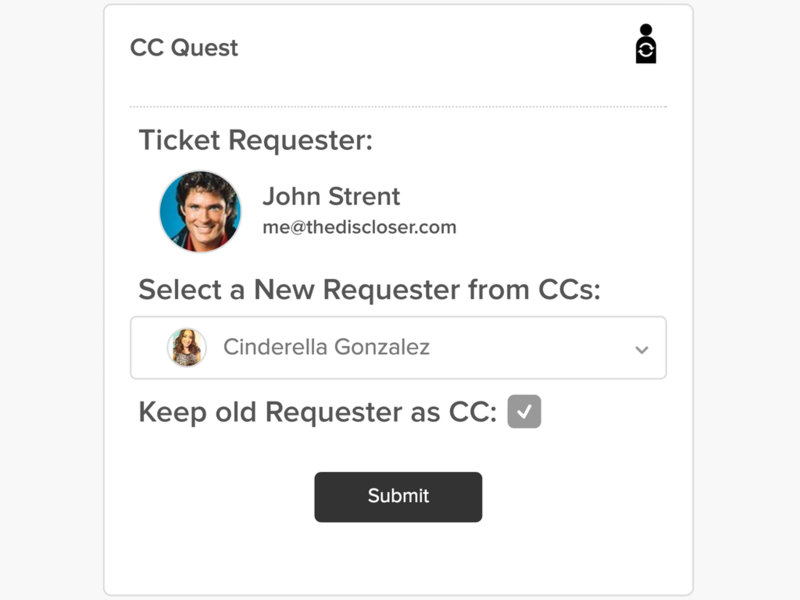 Gives you the option of adding the old Ticket Requester to the list of CCs. No special instructions needed. Just install the app and you're set to go!